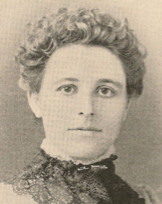 Jean Blewett was a Canadian poet, novelist and newspaper editor. She also used the name Katherine Kent in some of her work. published when she was only 17. She also submitted her work to newspapers such as The Globe, in Toronto, and had many pieces published there and in other publications. raised a great deal of money for war charities. published in 1906, reinforced her name in Canadian popular literary circles. 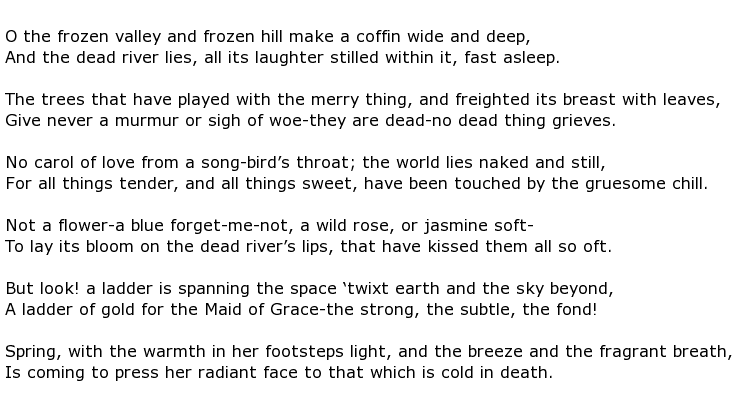 an affectionate description of a poet who loved to write about the beauty of nature that she saw all around her. This had been her way from the very start when, aged 16, she was paid by the editor of Frank Leslie’s Monthly for a simple but touching lullaby.